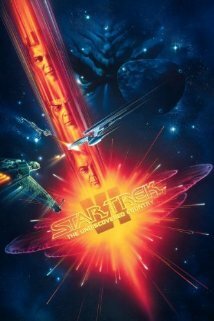 Star Trek fa ns will want to see the sixth installment of the series named Star Trek VI: The Undiscovered Country. Kirk and McCoy are accused of assassinating a very important Klingon diplomat. While they are sent to prison, Spock and the rest of the crew must do everything possible to prove their innocence. Throughout this movie there is always the wonder about what is coming just around the bend. You will find the action, drama, and comedy are certainly not lacking in this movie. To learn more information about this film, the characters, the actors, and more, you need to visit http://www.imdb.com/title/tt0102975/?ref_=fn_al_tt_1. This movie gets a five out of five popcorns rating.